So the meeting should’ve gone perfect from there with every topic discussed and all points addressed within the time frame specified right? Well, not quite. We started into the first agenda item and one person asked a few questions about a point that wasn’t really related to the meeting. The classic start to someone derailing the meeting. From there, everyone in the meeting began talking about that topic and going into related details. It wasn’t long before the originally scheduled meeting wasn’t happening, probably no more than 10 minutes into the meeting. We were having a completely different meeting with the original agenda out the window. Have you ever sat through a meeting like that? The meeting facilitator was well prepared with the agenda items. She also had everything lined out, so that everyone would stay on track. The problem, however, came down to the execution of the meeting. There was an article in the Wall Street Journal titled, Meet The Meeting Killers, by Sue Shellenbarger that discussed five types of people that are always guilty of derailing the meeting. The Jokester I am sure that everyone has sat through a meeting with the jokester. The jokester is the person that always wants to be funny. They have a punchline for everything. The “jokester cracks jokes–appropriate or not–and awaits response from co-workers.” Their jokes are always distractive and side-track the meeting. The Dominator The dominator is the one that not only has to be involved in every decision, but also has to make sure what they decide is the eventual outcome. The dominator “disrupts discussion and induces information overkill.” They also greatly overestimate the value of their personal views. The Naysayer The naysayer always figures out a reason why the proposed solutions won’t work. They “wait until consensus is almost reached and derail the meeting with major objections.” The naysayer has a negative effect on the motivation of everyone because they squash the ideas generated through significant time and effort. Every meeting you attend will probably have at least one person that fills one of the roles mentioned above. As a leader, your role is to help meetings to stay on topic so they are productive and accomplish the desired outcome. You need to do all you can so that you don’t become guilty of derailing the meeting. Don’t become one of the people mentioned above. At the same time, it is very important that you recognize each of the people mentioned above and keep them on track. If you don’t, they will be the ones derailing the meeting next time. Have you sat through a meeting that got derailed? How did you handle it? 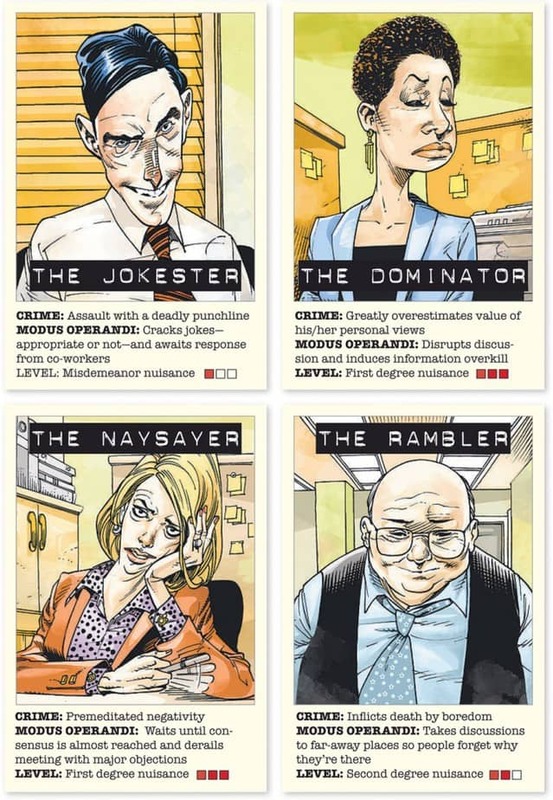 Have you been one of the five types of meeting derailers? Please share your thoughts in the comments section below.